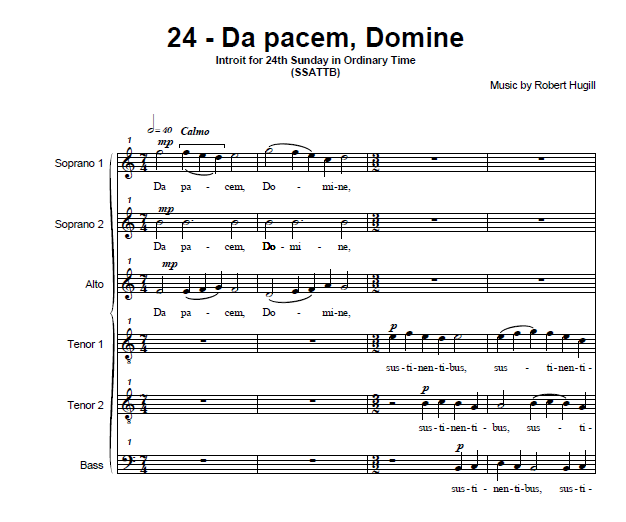 The motet comes from my collection Tempus per Annum in which I am writing settings of all the Introits for the Sundays and major feasts in the Church's year, taken from the modern Roman Gradual. Give peace, O Lord, to them that patiently wait for Thee, that Thy prophets may be found faithful: hear the prayers of They servant and of Thy people Israel. I rejoiced at things that were said to me: we shall go into the house of the Lord. 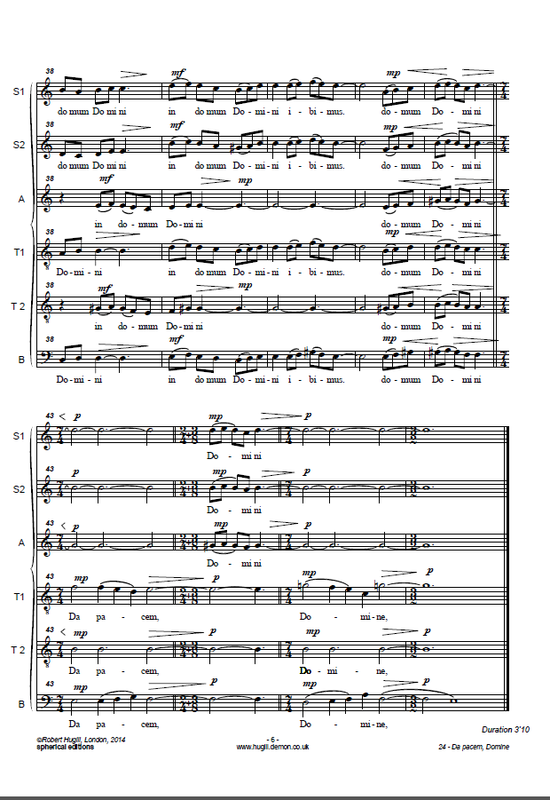 The motet is available for free download on the CPDL website and I am slowly adding all the Tempus per Annum motets to my composer page on CPDL (I have written 60 of the 72 motets and so far managed to add 12 to CPDL so watch this space! ).